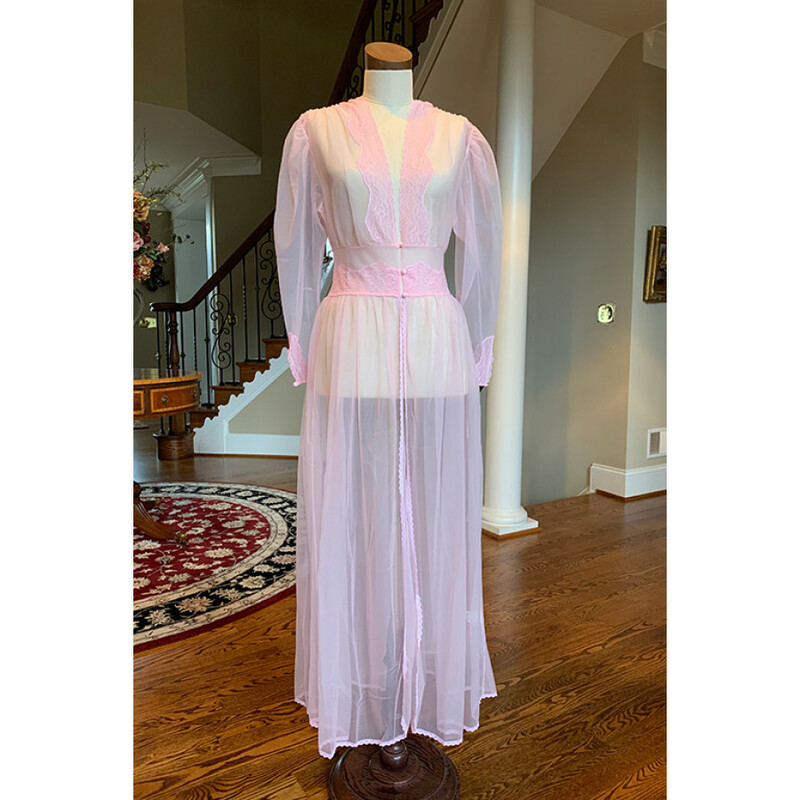 We created this lovely Long Robe in our Sheer Lace Collection to embrace the light essence of Spring and Summer to come! You'll love the romantic look, reminiscent of the peignoir sets of yesteryear. Be sure to coordinate with the fun Bloomers and Garter Belt! All items are available in Black, Pink and White.